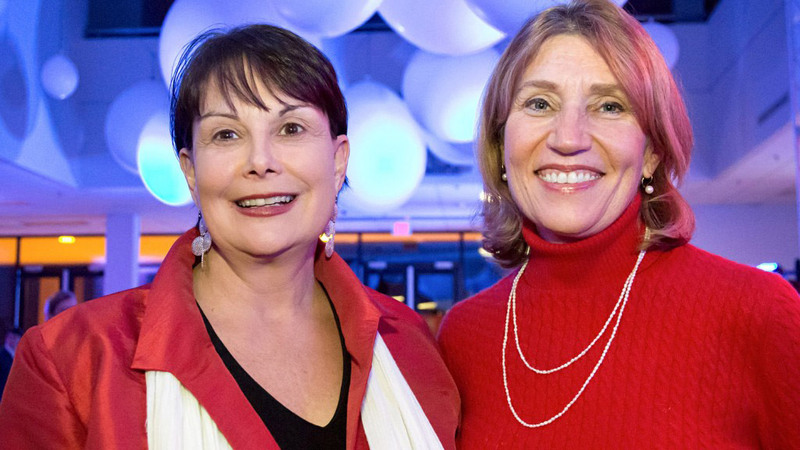 Debra Hess and Pam Jones have remained in regular contact and meet frequently for Wolfpack tailgates, games, alumni events and girls’ getaways. For Debra Hess and Pam Jones, the bonds of friendship formed during the first days of freshman year at NC State have lasted a lifetime. The two women, both 1978 graduates of the College of Textiles, belong to a close-knit group of Wolfpack alumnae friends who – despite being dispersed geographically, with busy careers and families – have remained in regular contact and meet frequently for Wolfpack tailgates, games, alumni events and girls’ getaways. Pam and Debra hit it off right from the start, connecting through their shared love of sports and their studies in Textiles. After graduation, both women began careers in the textile industry. Debra continues to work in the industry at Springs Creative in Rock Hill, South Carolina, while Pam transitioned into the commercial office furniture industry and lives in Atlanta. But time and distance aren’t a factor, say the proud alumnae. “One of the really cool things about NC State is you make lifelong, meaningful connections,” says Pam, referring not only to their classmates but also to the pair’s ongoing involvement with NC State, whether attending alumni events, providing annual support or, in Pam’s case, serving on several University boards, most recently for the NC Textile Foundation. In 2014, Debra and Pam each independently decided to include a planned gift to the College of Textiles in their wills. Each will ultimately fund a prestigious four-year Centennial Scholarship, which covers most expenses, and provides considerable funding for educational enrichment activities beyond the classroom. For Pam, one of the motivations behind this planned gift is the chance to pay it forward for the support she received as beneficiary of a full scholarship to Textiles.